According to one U.S. News article, as a whole American’s spend an average of $61 Billion dollars on their pets annually. With everything from pet food and grooming supplies to toys and leashes, dollars add up quick when you’re providing for man’s best friend. The figures stagger ever higher once you factor in vet bills or multiple household pets. 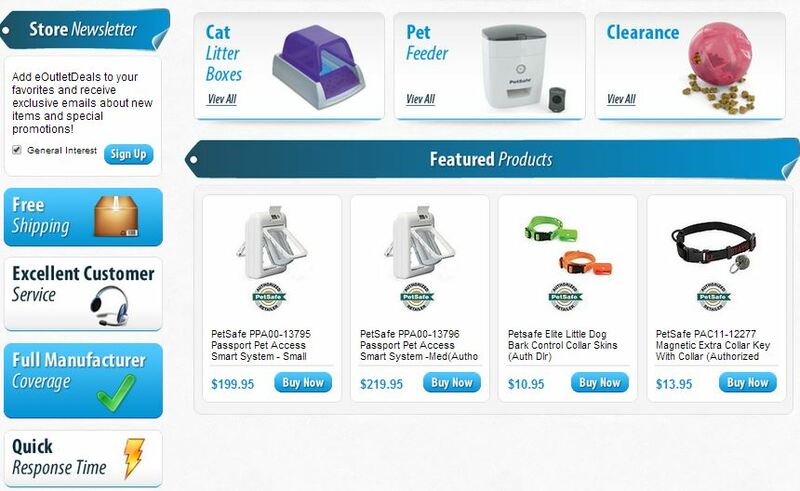 To help families stay on top of pet needs without breaking the bank, eOutlet Deals commissioned the experts at OC Designs Online to create a custom eBay Store Design. With a throng of discounted merchandise in tow, and a wider audience in which to sell, traffic has exploded! With a well-crafted logo and custom search bar at the top of the page, those shoppers who know exactly what they need can enter keywords of phrases to help save time and cut out the browsing process. 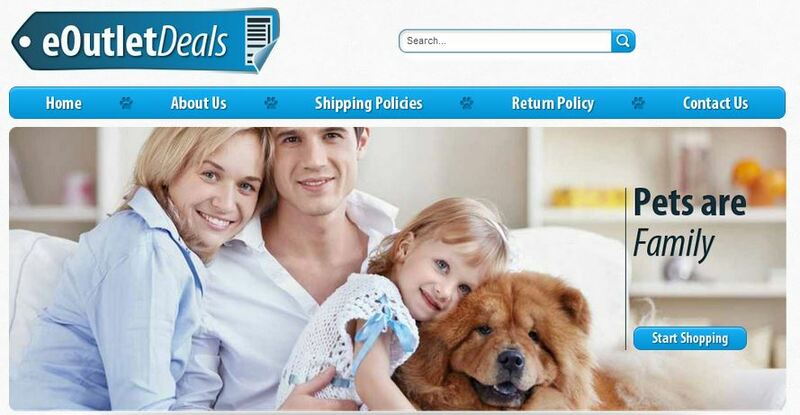 Below, a cool blue navigation pane invites customers to review company and contact information or shipping and return policies while the main welcome feature boasts that “Pets Are Family” and encourages users to start shopping with a small button in the bottom left corner. In the eBay Shop Design‘s midsection, store categories are broken down into roughly a dozen overarching themes and represented by a vertical list of links in the left sidebar, and again to the right, underscored visually with hi-res images. All are rest under the watchful eye of of a Pet Safe Authorized Dealer verification, ensuring shoppers can trust they’re in the hands of the professionals. Closing out the well-utilized left sidebar is an opportunity for pet owners to sign up to receive exclusive emails about new items and special promotions. Our designers were also quick to highlight the store’s promise of free shipping, excellent customer service, full manufacturer coverage, and quick response time in this custom eBay template. Finally, a custom footer closes out this classic eBay Store Design. Here we’ve included essential company information and policies in a mini sitemap which resembles the main navigation bar, along with a list of acceptable payment options for added convenience. Investing in a custom eBay store design that gets noticed and stands out is not only easy, it’s also affordable! OC Designs Online is your top choice for custom eBay Shop Designs and we invite you to browse our portfolio of stunning store designs and then request a free quote. Be sure to find us on Facebook and follow us on Twitter!